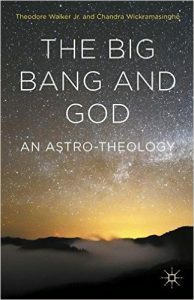 My latest 2017 publication by Bear & Co.
My 2016 publication published by the American Academy of Religion: The Big Bang and God. 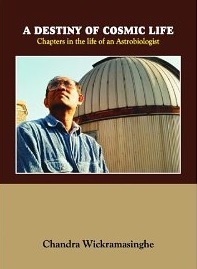 A Destiny of Cosmic Life. 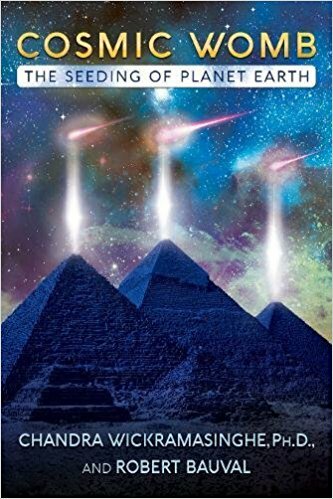 I recommend this book as preliminary reading for anyone researching panspermia or wanting to understand where we were in 2014 in ‘the search for life off earth’. This is also my autobiography. 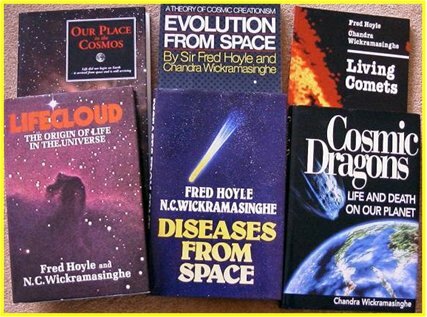 Together with the late Sir Fred Hoyle we developed the theory of life being a cosmic phenomenon, a theory for which the evidence is now overwhelming. 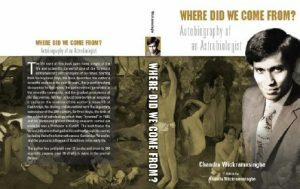 The book traces a personal story of discovery from my early life in Sri Lanka, to Cambridge and Cardiff”, Professor Chandra Wickramasinghe. 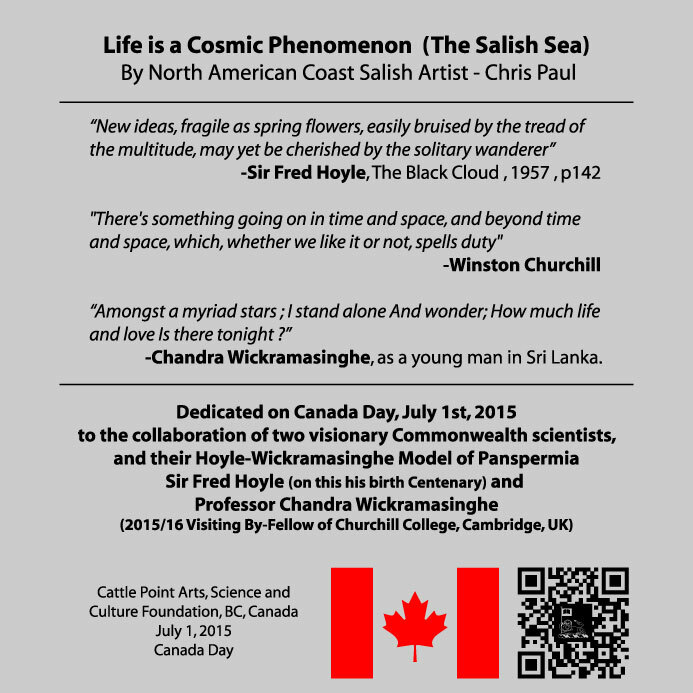 Professor Chandra Wickramasinghe has 35 published books and a large number of papers. 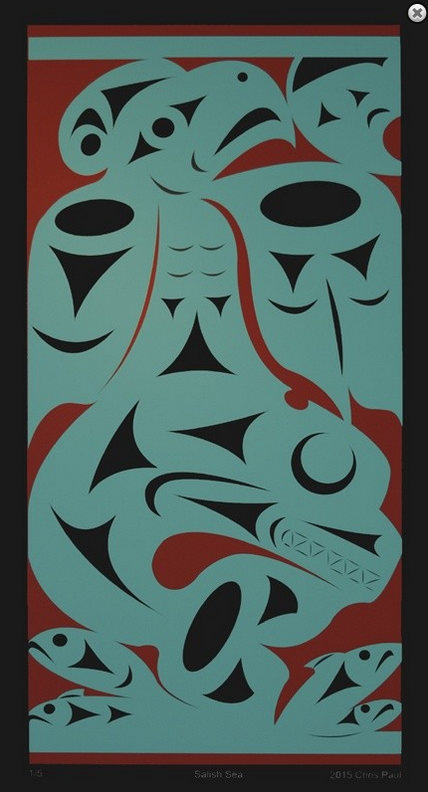 Most are available through all the standard book distribution channels and even on Amazon. 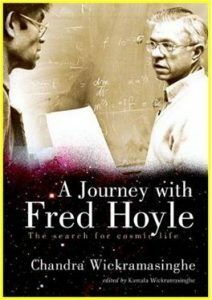 I also recommend this wonderful science fiction book by my mentor, my late friend and my “much missed” collaborator Sir Fred Hoyle. This is available on Kindle and is a fine gift. 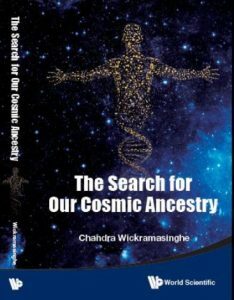 All my scientific papers including those where I collaborate with many of the world’s top physicists and astrobiologists can be listed using http://scholar.google.com and accessed through standard channels for academic papers. Finally I recommend a FREE academic paper written by my colleague W.E. Smith which summarizes the status of Panspermia in 2013. We consider last year (2013) was a watershed year in the long history of Panspermia, as this was the year when NASA and the Kepler Mission announced there were at least 144 billion earth-like planets around sun-like stars in the Milky Way Galaxy. 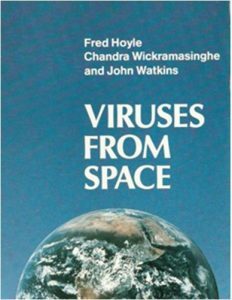 This was the point that Panspermia finally moved into mainstream science. On account of the size of these files the download could take a few minutes. 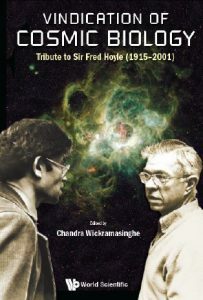 The copyright is owned by Professor Wickramasinghe and the family of the late Sir Fred Hoyle, and the release of this material is solely for scientific research purposes.